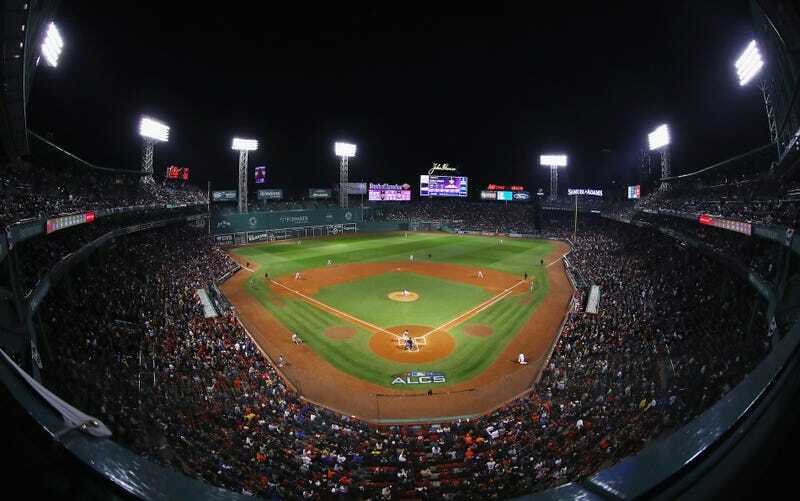 Major League Baseball is internally handling an incident from Game 1 of the American League Championship Series involving suspicious activity by a Houston Astros employee at Fenway Park, according to Alex Speier of The Boston Globe. According to the league’s investigation, the Astros employee engaged in shady behavior to make sure the Red Sox weren’t engaged in similarly shady behavior. But he had done something similar in the ALDS. It turns out that the same Houston employee was involved in both situations, according to Jeff Passan of Yahoo Sports. The Indians reportedly warned the Red Sox of a staffer named Kyle McLaughlin prior to the ALCS. Just like in Boston, security had reportedly removed McLaughlin from the area in Cleveland. It is worth noting that Red Sox manager Alex Cora was the Astros’ bench coach last season. Know any more about this convoluted situation? Drop a line at tips@deadspin.com.